The Bharatiya Janata Party (BJP) on 19 may said that the Centre would order a Crime Branch of Investigation (CBI) inquiry into the death of Indian Administrative Service (IAS) officer, Anurag Tiwari, if required. "It is true that he (Tiwari) was a good officer. He died in some dubious conditions. We won't hesitate to pass an order for a CBI investigation, if needed. 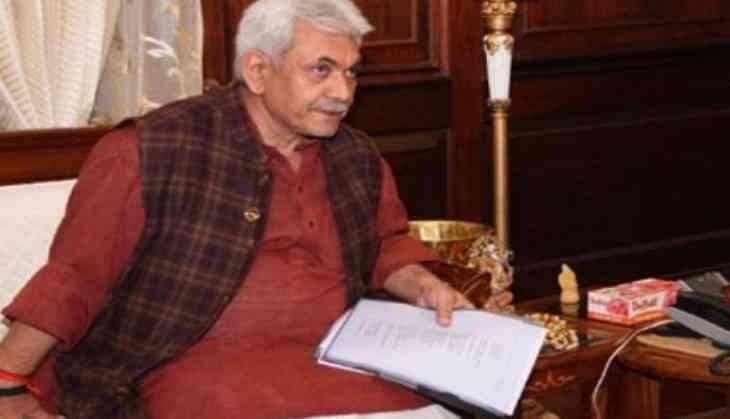 We will definitely find out the reason and the culprit who committed this," said Union Minister Manoj Sinha. Another BJP leader Prahlad Joshi said there should be an independent inquiry ordered by the Central Government as requested by his family. "Mr. Anuraj Tiwari, an IAS officer of the Karnataka cadre was found dead in Lucknow. It was a mysterious death and post-mortem report till 19 may is inconclusive, nothing has been revealed. On 18 may, his family members have given a statement that it was not a normal death he was murdered. The reason behind saying this is that he was about to reveal the scam in Karnataka which he was inquiring into for some time. An amount of about Rs. 2000 crore was involved in this. Now, this matter was even discussed in the Uttar Pradesh assembly. Now, the only request the Karnataka government wants is why not recommend an independent inquiry by the Central Government as requested by their family members. I have seen he was a very sincere officer. When he was transferred, the people protested against it because they wanted him back. This only shows that he was a very good officer," BJP leader Shashil Namoshi told ANI. Karnataka Law minister T.B. Jayachandra said "Anurag was one of the honest and sincere officers. We have to verify the allegations made by his brother. The cause of death is being investigated by Uttar Pradesh Government because he died there." Tiwari originally hailed from Uttar Pradesh's Bahraich district. As per preliminary reports, Tiwari had recently divorced his wife. On 18 may, Tiwari's cousin Rahul Pandey told ANI that differences with his wife had begun right after their marriage. "We do not have doubts on anybody right now. The rest will be known when other family members also come," he said. Civil Hospital Medical Superintendent Ashutosh Kumar Dubey said it would be too early to reach any conclusion. "There was an injury mark on his chin. The body has been sent for post-mortem. Only after the reports are out, something can be said," he said.